Rush Limbaugh: I Sit On It Every Night - Joe.My.God. “What do you say to people who say ‘you know what, you’re old fashioned, you’re stuck in the past. We can never go back to it, it wasn’t what it was. It’s all fuddy-duddy, and you’re going to have to modernize or society is going to leave you behind?’ I love my sofa and I sit on it every night. And it loves me back. If I could marry my sofa I might think about it. I would. And maybe in a few years it could be possible? 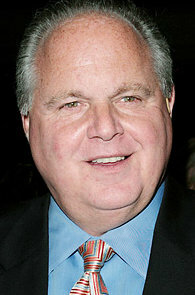 You never know.” – Rush Limbaugh, speaking about marriage equality yesterday on his radio show.